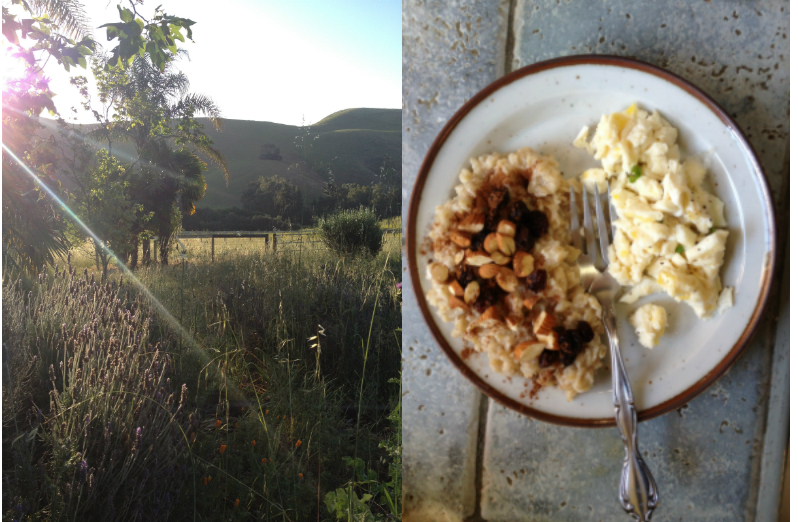 Laurel is en route to this weekend's Wildflower Triathlon and as she makes her way up the California coast from LA to Santa Barbara, I've asked her to send photos of her pre-race road food. Her first photos come to us from beautiful Hollister Ranch where she spent last night. This morning, she fueled up on oats with raisins and almonds and an egg white scramble before going for an easy run by the beach.